Learn how to can vegetables using a pressure canner. Learn why using a pressure canner is safe and practical. Part 2 of "How to Can Fruits and Veggies From Your Garden." Canning vegetables with a pressure canner is the safest way to preserve them. The high temperatures made possible inside the pressure canner insures the destruction of bacteria inside the jars. This bacteria, if not destoyed could cause the sometimes fatal illness of botulism. When canning vegetables in a pressure canner, process the jars of food for the appropriate minutes and pounds of pressure indicated in the recipes below. You will need to learn how to operate your pressure canner by reading the owners manual that comes with your particular pressure canner. If you have purchased a used pressure canner, and you do not have an owner manual, you can obtain one by contacting the company that made your pressure canner. Give the model number to the manufacturer, and they will send you the right manual. There is a charge for this, however, depending on the manufacturer. Place the rack in the pressure canner and fill with 3-4 inches of water. I usually have enough water in the pressure cooker that, when the filled jars are placed inside, it comes halfway up the jars. Lock down the lid of your pressure canner after the filled jars are placed inside. This is usually done by placing the pressure canner lid on and giving it a turn to the lock position. Vent the pressure canner to eliminate the air inside. After you have locked down the lid and turned on the heat, the water inside the pressure canner will begin to boil. Soon after, you will notice steam escaping from the vent on top of the pressure canner lid. Let this steam escape for 10 minutes before you cover the vent pipe with the weight (or by closing the petcock in some models.) Air left inside the canner prevents temperatures form rising high enough to kill all bacteria. Add the weighted gauge to the vent pipe (or close the petcock in some models.) This action will cause pressure inside the pressure cooker. You will hear your pressure cooker making hissing noises at this point. If any steam is escaping from under the lid, you will need to take the weighted gauge off of your pressure canner and release the pressure (or open the petcock.) After pressure has been released, take the lid off of your pressure canner and remove the rubber gasket from the lid. Wipe the gasket off (Caution!! It will be hot!) and wipe it dry, stretching it a bit while you do this. Replace it inside the lid and vent your pressure canner again. Once the correct pressure level has been reached (usually 10 pounds for vegetables) you can begin timing the process. Each food has a different processing time, so you will need to read the recipe for each vegetable. You can read the gauge on your lid to see the amount of pressure inside the canner. Some canner do not have gauges, and you have to count the times the weight, which is closing the vent pipe, giggles per minute. If you live in altitudes 1,000 feet or above, you will need to increase pressure 1 pound for the first 1,000 feet, and then 1/2 pound for each additional 1,000 feet afterwards. Cooking times will remain the same. After processing turn off heat and allow the pressure canner to cool. Do not take the weight off of your canner (or open the petcock. )Let the steam escape on it's own accord. When all steam has escaped from the canner (read the gauge, and the arrow will point to 0) you can remove the weight or open the petcock. If you hear a rush of steam escaping upon removing the gauge or opening the petcock, the steam has not completely escaped from the canner and it is not safe to open the canner lid. Replace the gauge and wait longer. When you are absolutely sure all pressure has escaped from the canner, you may take off the lid. When you open the canner, remove the lid away from you. If you open the canner towards you, steam will rush into your face, and that hurts! Remove the jars from the canner and allow them to cool completely. Push down on the lid. If it stays down, it has sealed and pat yourself on the back. If the lid moves up and down and makes a clicking noise when you push onit, it did not seal. Now you can do one of two things. You can either refrigerate the unsealed jar and eat it within the next several days, or you can reprocess the jar all over again, with a brand new lid. If your jars of food have sealed, you may remove the band that holds the lid down. You can reuse the band on another jar. Don't remove the lid until you are ready to use it, or course. Pour the water out of your canner and refill, if you are going to can another load. I have reused the water in the pressure canner for a second batch, but by the third batch the water starts to discolor, so I would change it. Beets:Harvest beets cut off the tops leaving 2 inches of top on the beet. Leave the root attached. By leaving the top and root attached, will prevent your beets from "bleeding" and turning white. Scrub the beets and parboil until skins slip off, about 15 minutes. Dip the beets in cold water and peel.Slice the big beets, and leave the small ones whole. Pack into jars leaving a 1-inch headspace. Add 1/2 tsp. salt to pints;add 1 tsp. 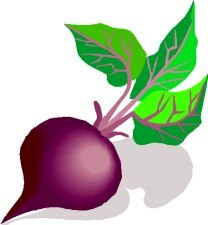 to quarts.Cover beets with boiling water. Seal. Process pints for 35 minutes and quarts for 40 minutes, both at 10 pounds pressure. Carrots:Wash and peel carrots.Slice large carrots or leave small one whole. Pack raw carrots into jars adding 1/2 tsp. salt to pints;1 tsp. to quarts. Pour boiling water over carrots leaving a 1-inch headspace.Seal. Process pints for 25 minutes and quarts at 30 minutes, both at 10 pounds pressure. Corn-Whole Kernel:Remove husks and silk. Blanch the corn, if you do not want corn juice spraying across your kitchen when you cut the kernel off of the cob. Pack corn loosely into jars, leaving a 1-inch headspace. Add 1/2 tsp. salt to pints and 1 tsp. salt to quarts. Process pints for 55 minutes and quarts for 1 hour and 25 minutes, both at 10 pounds of pressure. Green Beans:Break beans into 1 inch pieces. Wash and precook beans for 5-10 minutes. Add 1/2 tsp. salt to pints;add 1 tsp. salt to quarts. Pack into jars leaving a 1-inch headspace. Process pints 20 minutes and quarts for 25 minutes, both at 10 pounds pressure. Peas:Shell and wash. Cook for 5 minutes, and pack into jars. Cover with boiling water leaving 1-inch headspace. Add 1/2 tsp. salt to pints;add 1 tsp. to quarts. Process pints pints for 40 minutes and quarts for 45 minutes, both at 10 pounds pressure. Peanuts: I have never had the opportunity to can peanuts before, but I have had many e-mail inquiries on the subject. After a little research, I have come up with the following: Soak dried,raw, shelled peanuts overnight in a medium brine of 10 ounces of salt to 1 ounce of water. You will need to add more water as they swell. Cook for 8-12 hours and pack hot into jars leaving 1/2 inch headspace. Process 45 minutes at 10 pounds pressure. You can also begin with freshly harvested in-shell green peanuts. Just wash peanuts, cover with medium brine and boil until peanuts are tender. You may want to let the peanuts sit in the brine to increase saltiness. Shell the peanuts. You may also want to make up a new batch of brine for the actual canning process. Potatoes,white:Peel and wash potatoes. Leave small ones whole and cut up large ones. Boil potatoes for 10 minutes. Drain and pack into jars. Add 1/2 tsp. salt to pints and 1 tsp. salt to quarts. Cover with boiling water, leaving 1-inch headspace. Process pints for 35 minutes and quarts for 40 minutes, both at 10 pounds pressure. Potatoes,Sweet:Wash potatoes. Boil until skins slip off easily. Peel and cut into pieces. Pack into jars and add 1/2 tsp. salt to pints and 1 tsp. salt to quarts. Cover with boiling water or a syrup made of sugar-water. Leave 1-inch headspace. Process pints for 1 hour and 5 minutes;process quarts for 1 hour and 30 minutes both at 10 pounds pressure. Tomatoes:See How to Can FruitPage 4 of "How to Can Fruits and Vegetables from Your Garden." This page talks about canning fruit. Zucchini:Wash and trim ends. Cut into 1/2 inch slices. Do not peel. Bring to a boil and pack into jars. Add 1/2 tsp. salt to pints and 1 tsp. to quarts. Cover with boiling water, leaving 1/2 inch headspace. Process pints for 30 minutes and quarts for 40 minutes, both at 10 pounds pressure.